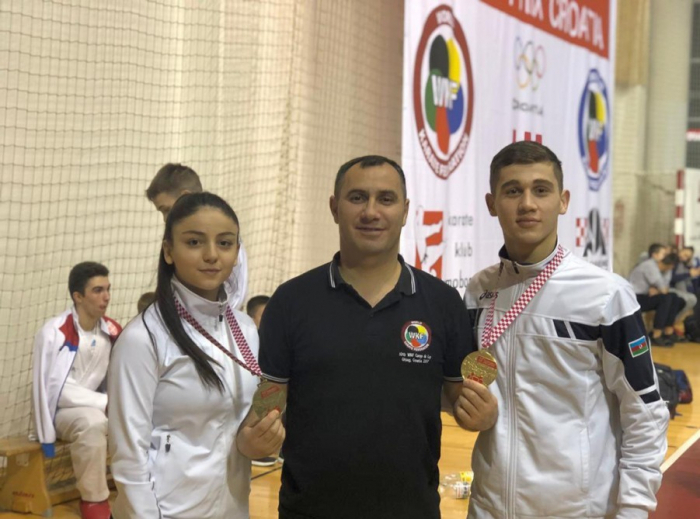 Junior Azerbaijani fighters have claimed two medals at the 28th Karate Grand Prix in Samobor, Croatia, AZERTAC reports. Huseyn Mammadli won a gold medal in the men`s 57kg weight class, while Fidan Dadashova scooped bronze in the women`s 47kg division. The tournament bought together 1621 karate fighters from 23 countries.